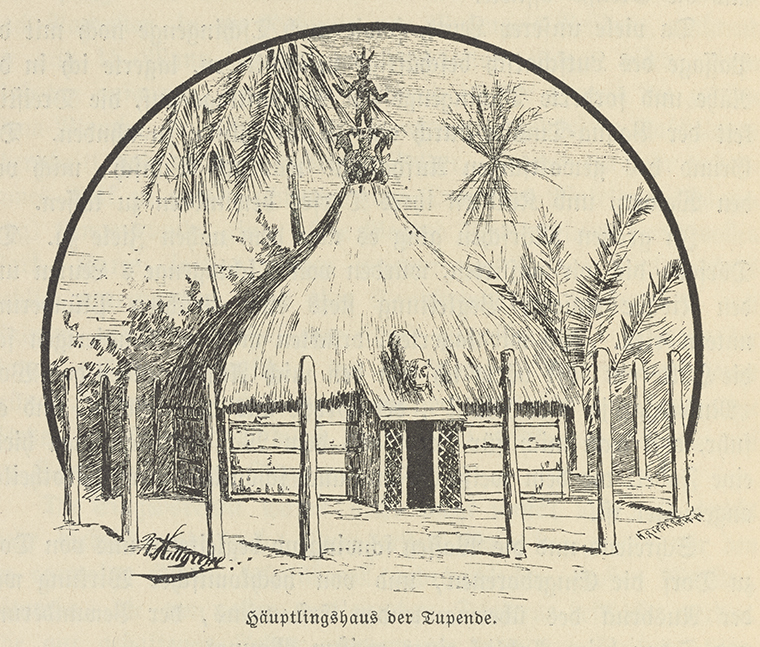 Chief's house of the Tupende (Congo) originally from Hermann von Wissmann's Unter deutscher Flagge (1889), reprinted as cover for Hermann Frobenius's Afrikanische Bautypen (1894). This project is the first translation and critical introduction to the earliest major texts about African architecture written by an architectural professional in Germany. 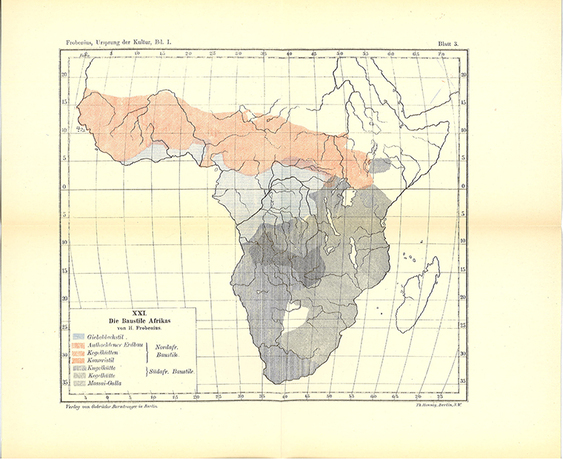 These texts, which date from the 1890s, were authored by Hermann Frobenius, the father of the renowned African anthropologist, Leo Frobenius. They synthesize centuries of architectural observations gathered by European explorers. 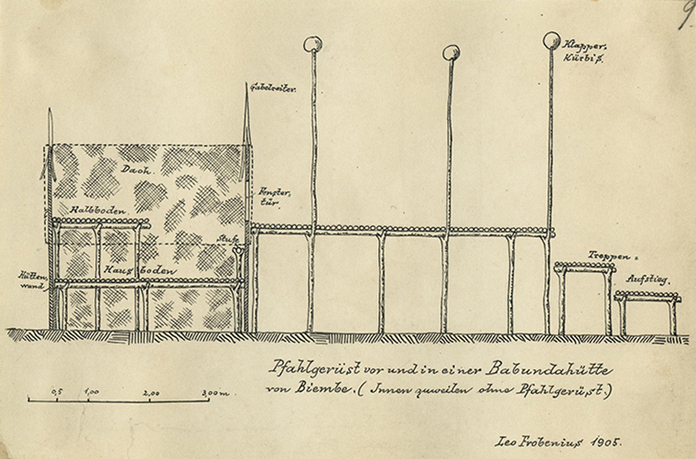 Frobenius describes the form and structure of buildings across the continent and illustrates them with renderings and measured drawings. Because they were written by a specialist, these texts provide an invaluable resource for contemporary architects and historians. Because of his expertise, Frobenius reached different conclusions from the prevailing view: he argued that African buildings were functional, structurally adept, aesthetically pleasing, and thereby modern. His claims also foreshadowed arguments that would made by his son. As such, this translation of Hermann Frobenius's texts contributes to a revision of both the history of African architecture and the history of German anthropology. Itohan I. Osayimwese is assistant professor of the history of art and architecture at Brown University. Her research focuses on how architecture affects and is shaped by political and economic systems. She has investigated the emergence of modern architecture in Germany and western and eastern Africa, in relation to colonialism and globalization. Her first book, Colonialism and the Archive of Modern Architecture in Germany, will be published by the University of Pittsburgh Press in 2017. She has published articles in the Journal of Architecture, the Journal of Architectural Education, Traditional Dwelling and Settlements Review, and Dwell Magazine. She has received grants from the American Association of University Women, the Society of Architectural Historians, the Graham Foundation, the Gerda Henkel Foundation, the International Association for the Study of Traditional Environments, the Canadian Center for Architecture, the Social Sciences Research Council, and the German Academic Exchange Service.